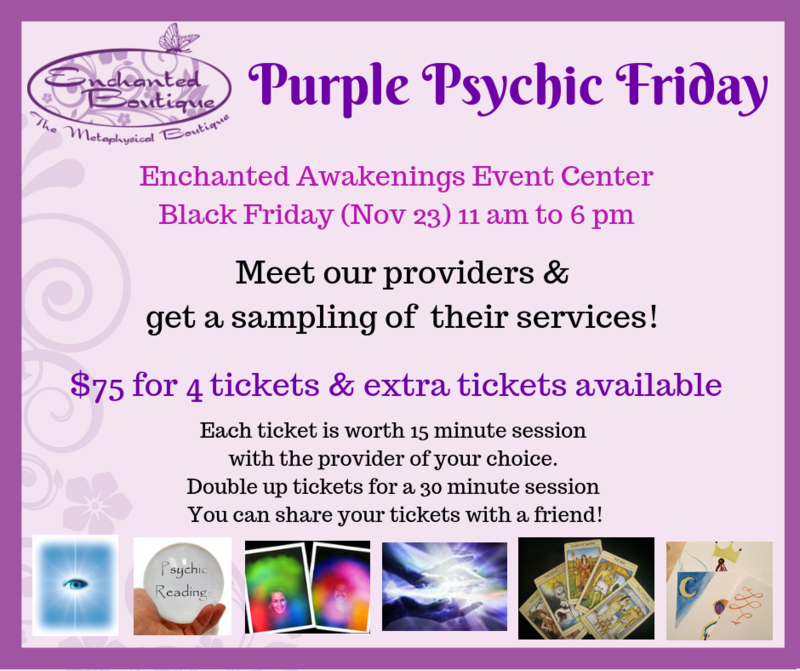 ​We will be giving a scratch off card to the first 25 people in the shop and the first 25 people to join us in the Enchanted Awakenings Event Center on November 23rd. Each card is for a discount of 10% to 40% off on your purchase in Enchanted Boutique that day. 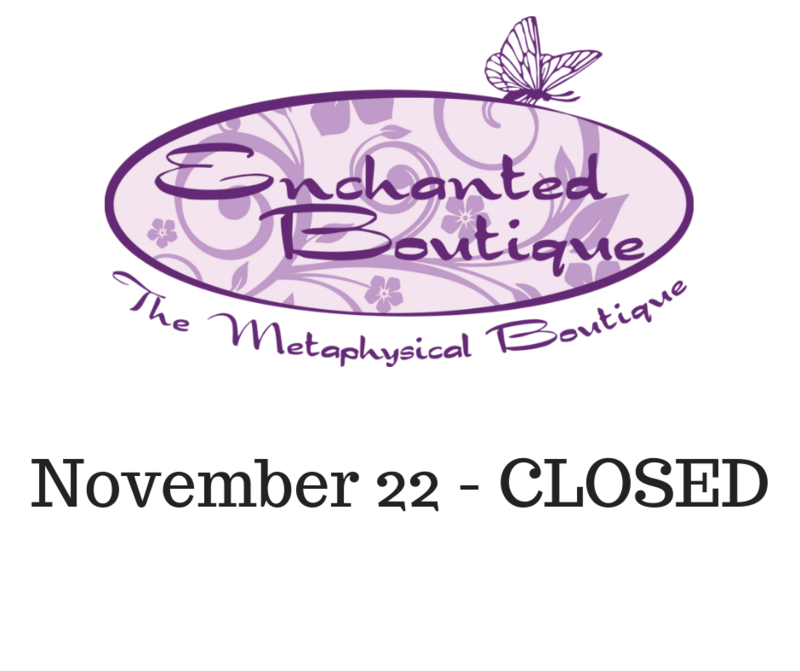 Discounts can not be applied to Psychic Corner services, special events or classes. Scratch off cards can not be combined with other coupons or discounts.